Songkran is the Thai New Year, and its the most important holiday of the year. 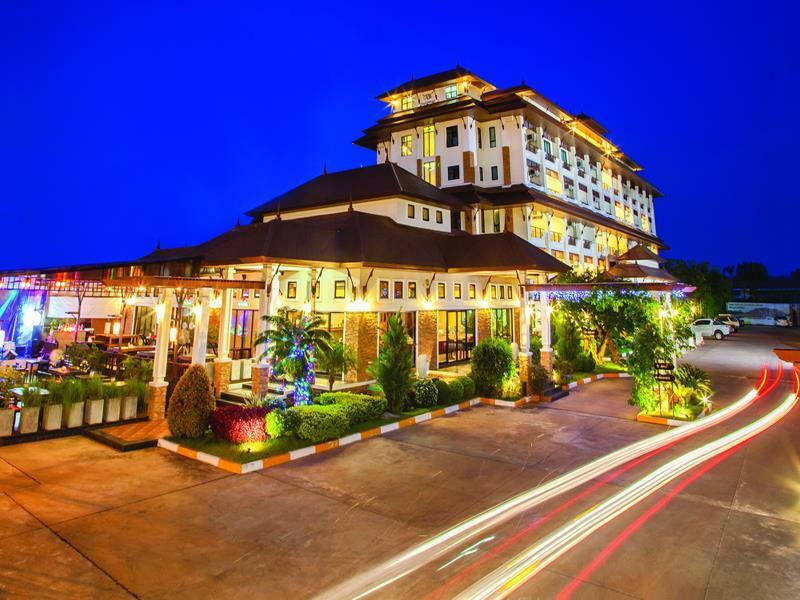 Traditionally the Songkran holidays are a time for Thai people to travel to their home town and village to spend the holiday with their family, and this means its get very busy around the time of Songkran on all forms of travel in Thailand. A lot of people in Thailand work away from home and every year the Songkran holidays triggers a mass exodus of people from large cities, particularly Bangkok. 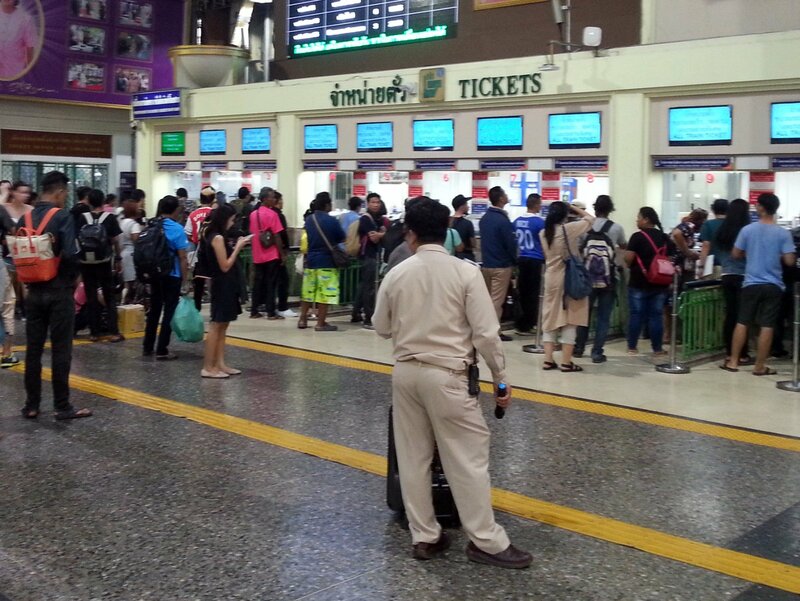 Bangkok Train Station becomes very busy for 3 days leading up to Songkran. In Thailand Songkran falls on the 13th April each year, with public holidays for the Songkran festival lasting from the 13th to 15th April. Songkran marks the end of the solar year in Hindu astrology. Songkran is best known internationally for water fights and partying in the street. Large street parties are held in Bangkok every year in Silom and on the Khao San Road, as well as in most other cities, towns and villages across Thailand. If you leave your house or hotel on the 13th April you will almost certainly have someone throwing water on you or spraying you with a hose or water pistol. This modern day version of Songkran derives from the older ritual of Rod Nam Dum Hua when traditionally on the morning of the first day of Songkran young people would pour jasmine infused water on the hands and feet of older people and monks in their village or town. Every year on the day before Songkran Thai media is filled with pictures of crowded trains and traffic jams on the major roads leading North and South from Bangkok. Bus and train stations get very busy and for many bus, train and ferry services you need to book several weeks in advance (particularly sleeper berths of long distance trains) if you want to travel. The best advice is to plan well in advance and avoid travelling on the 12th April, which is the busiest day of the year on the roads and the trains in Thailand. You can expect some delays to your journey if you travel during the Songkran holiday period. Bangkok’s Northern Bus Terminal becomes chaotic at that time and the road around the station become very congested. 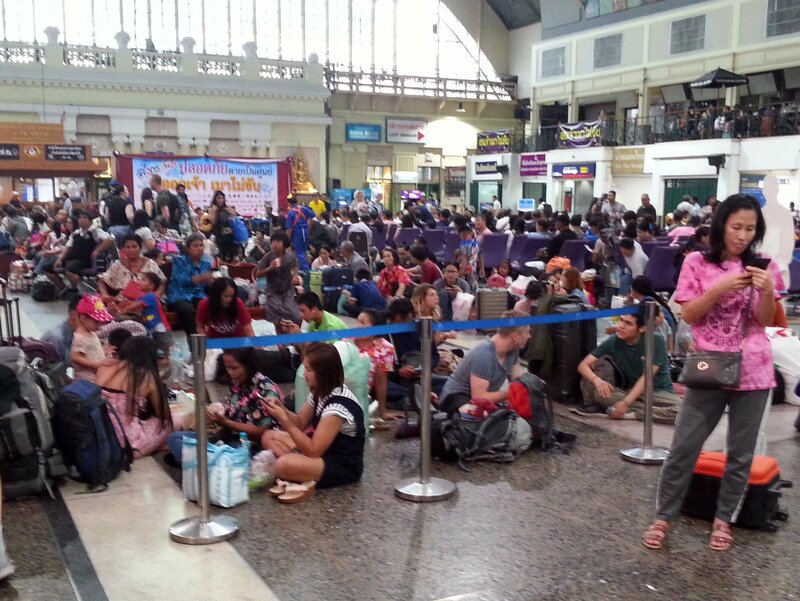 Bangkok Train Station also gets busy with all the seating full and passengers sat on the floor in the main station building and even on the platform. The trains themselves often get delayed departing by 30 to 60 minutes as the railway network comes under increased pressure from additional passenger numbers. 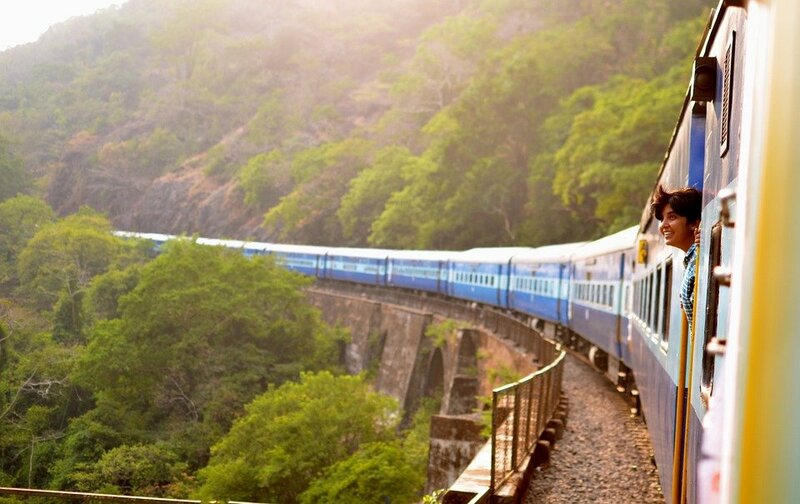 During the busiest periods our ticketing agents book whole carriages on the most popular train services which means we have tickets to sell even if they are no longer available purchased directly from the State Railways of Thailand.